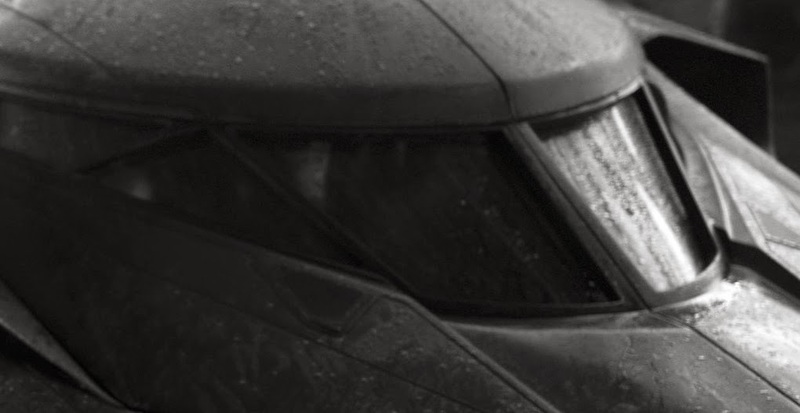 Director Zack Snyder shocked the internet moments ago when he tweeted a pic not only of the new Batmobile as expected, but the new bat suit as well. Both the new suit and new ride for Bats look like the perfect blend of classic and modern Batman, I would have preferred longer ears on the cowl but that's a nit pick. Also the photo is in black and white and we can only see from the waist up. So who knows Batman's suit may have a bluish grey tint, and he could be sporting the trunks. For now though this is all we have to go on which is more than I expected at this stage, and so far so good.  So what do you fellow epic reviewers think of the new suit and Batmobile? UPDATED WITH HI RES CLOSE UP'S AFTER THE BREAK! 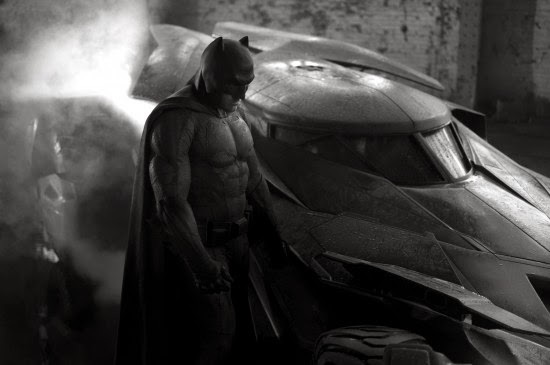 A few hi-res images have hit the web since we Zack Snyder first tweeted the pic. 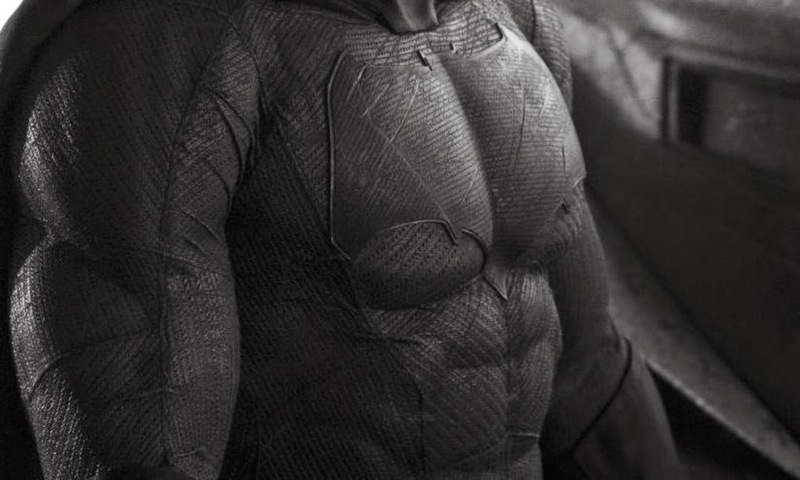 Notice the stubble on Batman's face and the ripples in his costume. These photos make it clear that his suit isn't any type of molded armor, but rather actual cloth material similar to the comics. 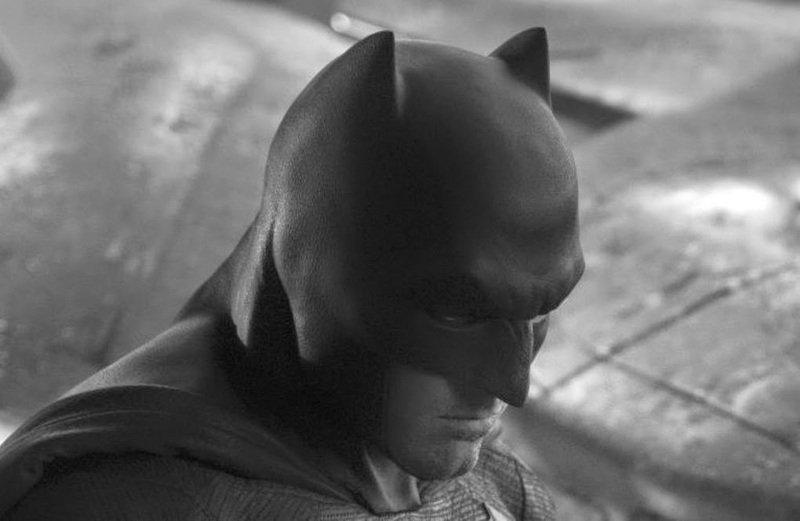 Now we just have to wait for a color pic to the actual color of what looks like what may be the best film Batman costume yet. Thanks to THE VERGE for the hi-res images! I'm loving this so far. The shorter ears and the larger bat symbol on the chest definitely remind me more of the Frank Miller Batman or Jim Lee's rendition of Frank's design for the character from All Star Batman and Robin. So far, things look great. I'm really interested that they didn't go with armored panels or a molded torso. This seems to be more of a heavy duty material that still has folds and creases when viewed up close, hopefully allowing for more movement. The material is really interesting. I'm definitely hoping for a black and gray costume with this. Also, check out the stubble. That's a Miller/Lee element of the look right there.